Jews and Chinese Food- What's the Connection? Jews and Chinese Food- What&apos;s the Connection? From the grit of the Lower East Side to the cul-de-sacs of contemporary suburbia, Jews have had a special relationship with Chinese food. 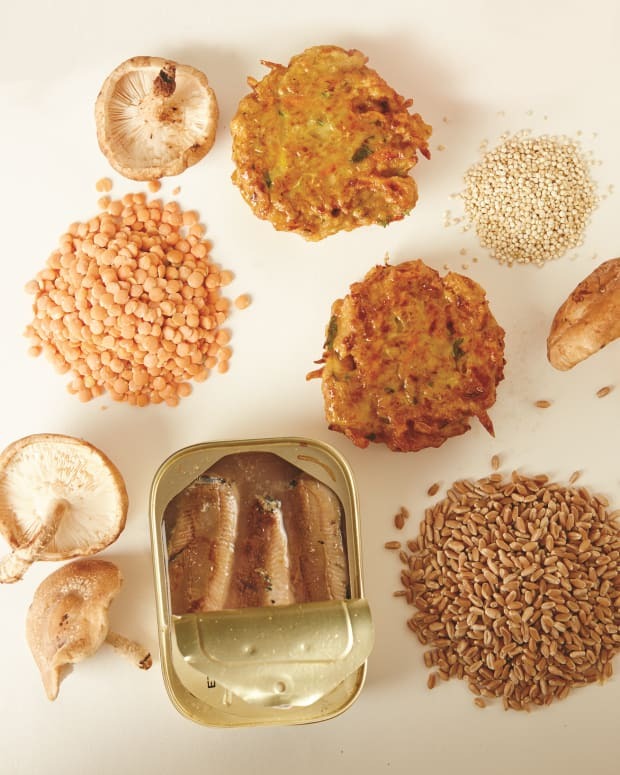 Familiar ingredients such as cabbage, onions and garlic are ingredients found in both cuisines. Chinese restaurants welcomed Jewish customers who were trying to assimilate and eat sophisticated exotic food. Chinese restaurants were usually open on Christmas and gave Jews a place to go. As new immigrants, Jews and Chinese often lived in the same areas. There are many possible reasons that Jews enjoy eating Chinese food. My theory is that there are no dairy products in Chinese food and Jews can easily relate to recipes and dishes that do not call for substitutions. Think your wok is only for Asian stir-fries? I use my wok for everything, from soup making, to searing large pieces of meat. I use my wok as a stovetop smoker. - I put wood chips in the bottom of the wok, place a grate above the wood chips and put my food on the grate. I cover the whole assembly and can smoke onions, tomatoes, duck and fish. It is amazing. A wok makes an excellent steamer. -If you do not have a grate, you can purchase inexpensive bamboo steamer baskets that nestle in the bottom of the wok, or place four chopsticks in a cross-hatch pattern, place cabbage leaves over the chopsticks and steam dumplings, vegetables and fish. 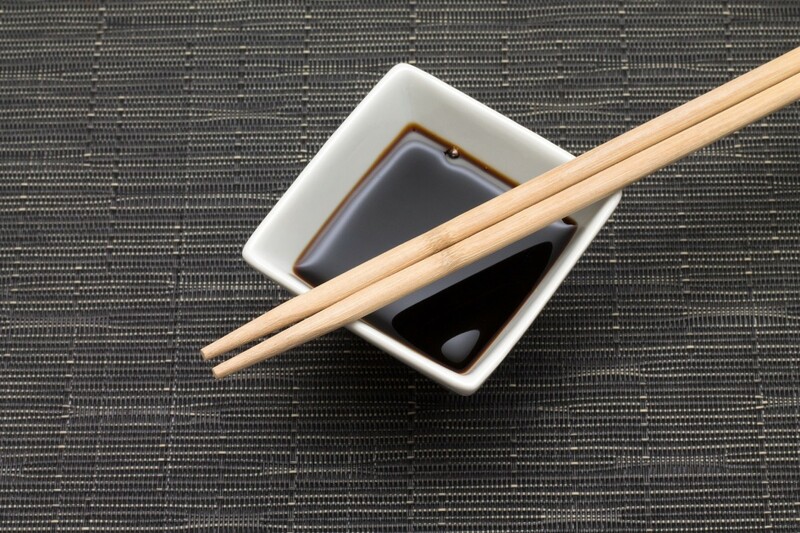 Soy sauce out of the bottle doesn’t taste very good and is not exactly a “sauce.” This simple flavor-enhancing treatment will guarantee you delicious and authentic soy sauce that can be used during cooking and as a condiment at the table. The soy sauce will keep for 6-12 months in the refrigerator. 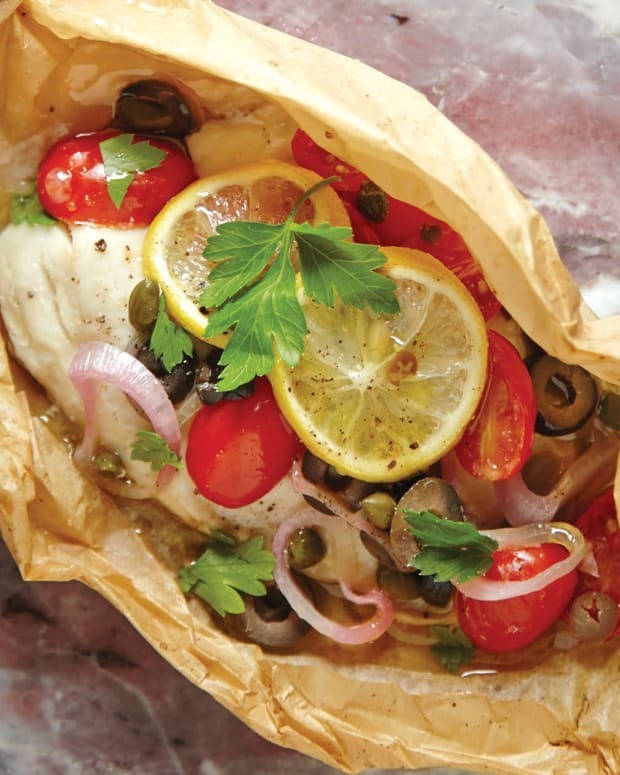 This delicious mouth-watering crispy fish recipe is quick and easy to prepare. The WOW presentation is dramatic enough for a VIP dinner or a casual weeknight. 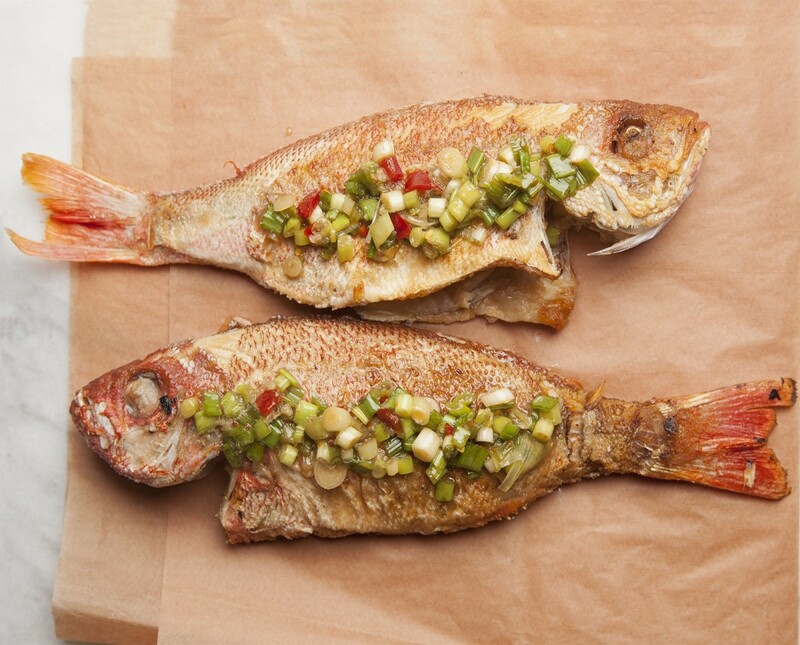 The fish skin is crispy and the flesh delicious and flavorful. Any remaining bones also get crispy and can be eaten along with the flesh. My husband even eats the tail like potato chips! 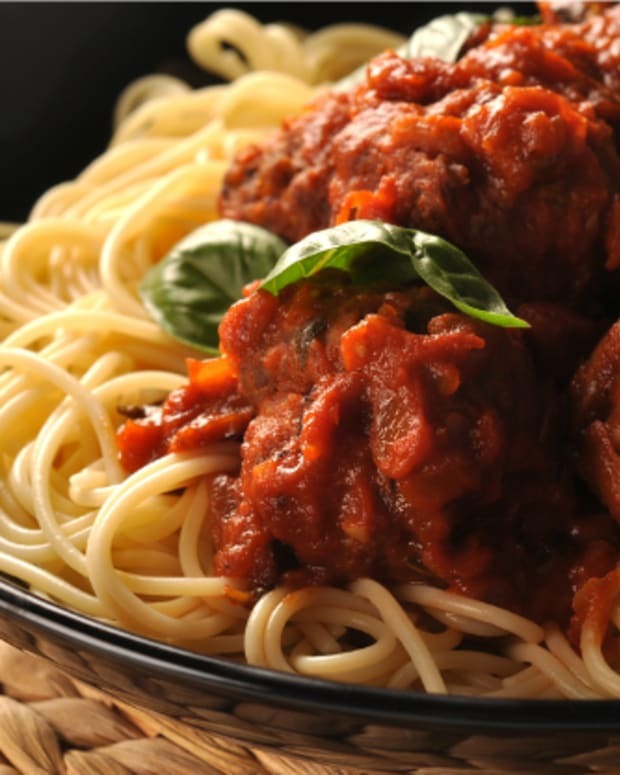 The savory sauce is aromatic and just spicy enough to wake up your palate. 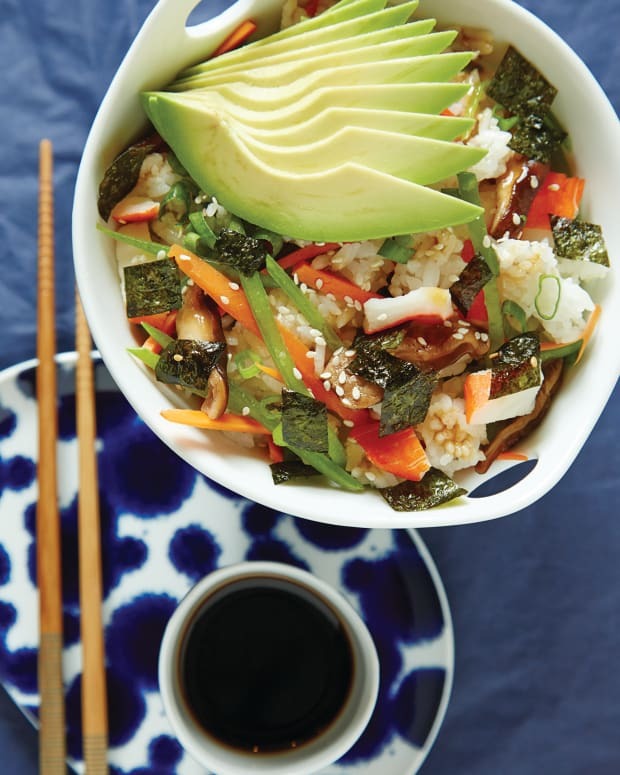 I use a really good-quality soy sauce that is not salty, but instead is earthy and complex. Serve the fish with steamed rice, noodles and your favorite vegetables. For a dramatic presentation, mound rice on a platter and stand the fish up in the mound of rice. Drizzle the sauce over the fish and serve. 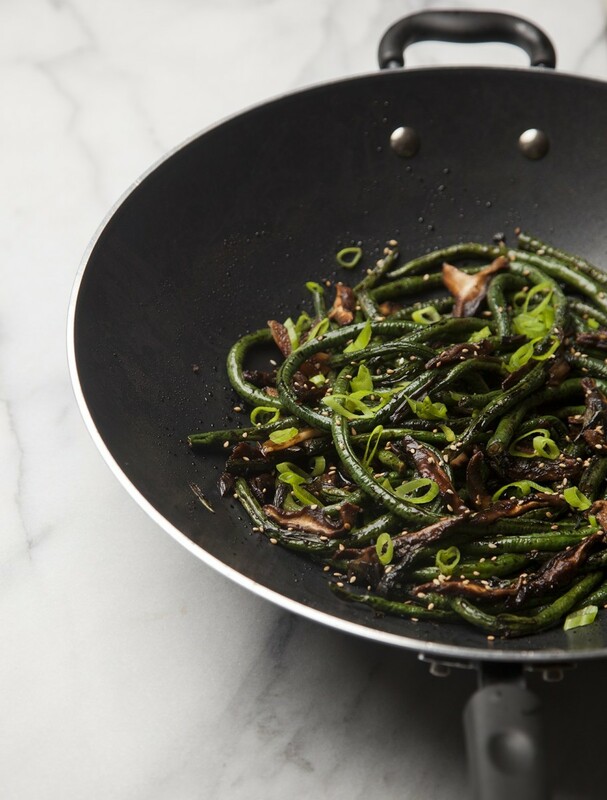 Dry Fried Chinese Long Beans are fun to eat and make a great presentation. They are easily found in Asian markets. Something magical happens in the wok when there is very little fat added to it. 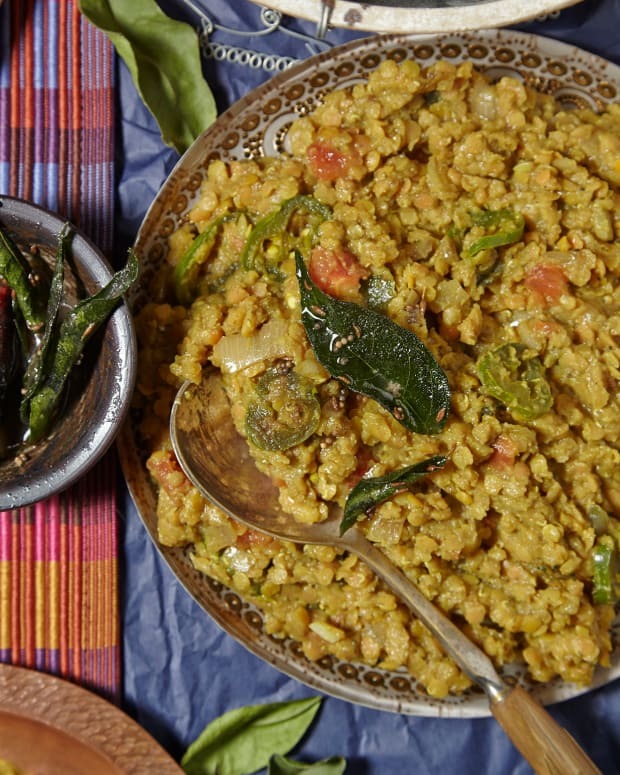 The vegetables begin to take on a charred flavor that is similar to be-ing grilled. I like to use this technique with Chinese long beans, carrots, broccoli and other dry vegetables. Peppers and other high water-content vegetables will steam themselves and do not work for this technique. You need a really hot wok and sturdy wok spatulas. No wok? No problem, a cast iron skillet will work as well. 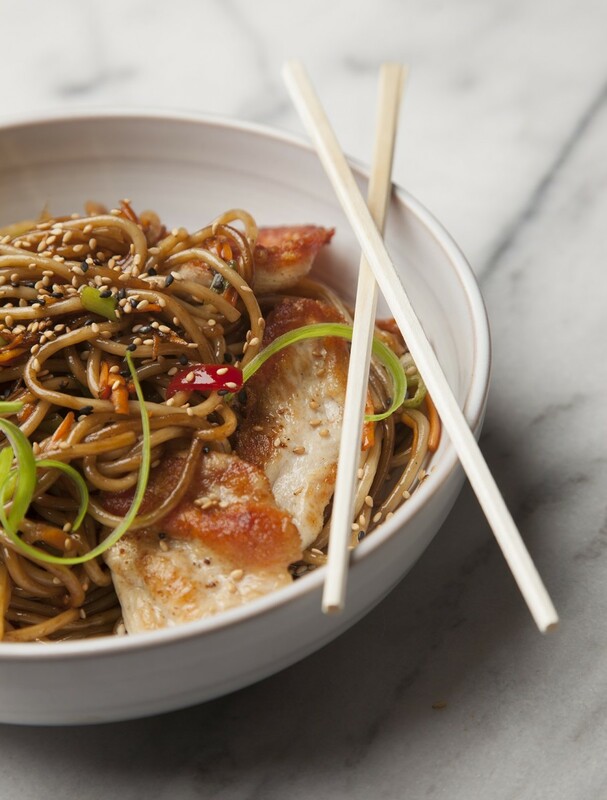 These Lo Mein Noodles are a delicious, quick and easy side. Try to source out fresh lo mein noodles. 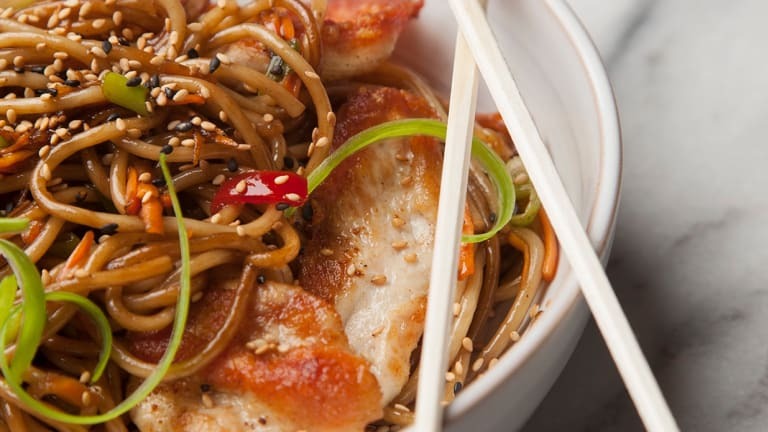 Chinese noodles have a wonderful chewy texture that is addicting and completely different from traditional pasta. I serve this side hot, warm and cold. The noodles are amazing as a pasta salad. This is my tongue-in-cheek Chinese-Jewish whitefish dumpling. 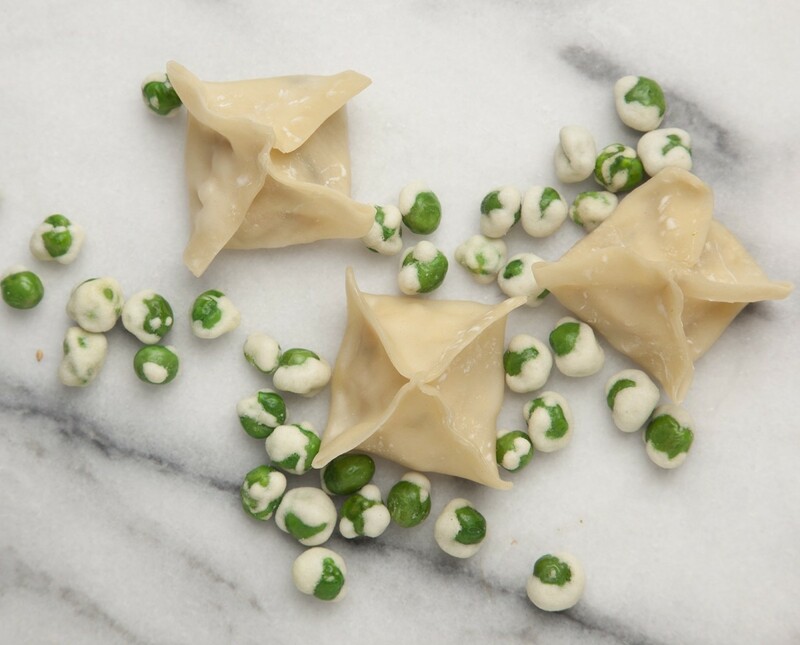 These dumplings are cute and very tasty. 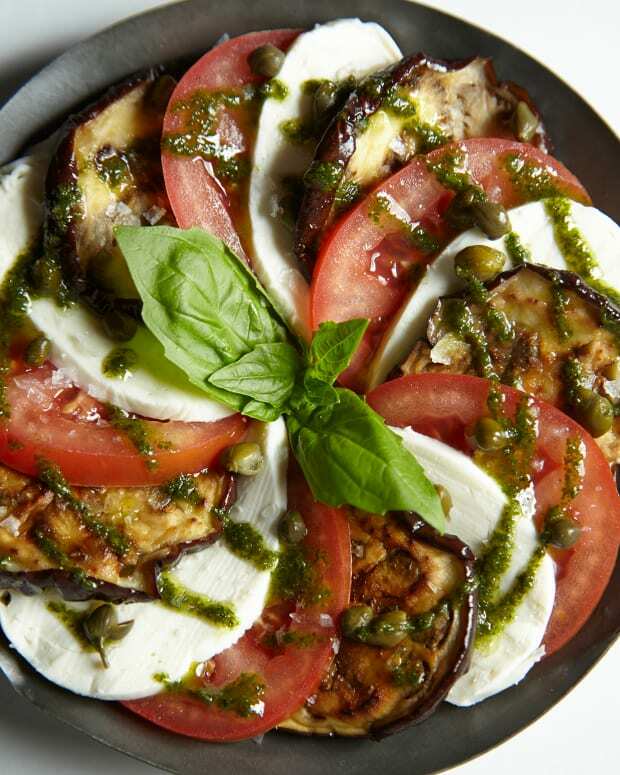 I serve them at VIP events and at home for appetizers or as a starter. I garnish them with a wasabi pea in the center for added crunch. To use your wok as a steamer if you do not own bamboo steamer baskets you can straddle a metal strainer over the wok with water underneath. Line your strainer with cabbage leaves so the steam will pass around the leaves, and cover the whole set-up with a lid. 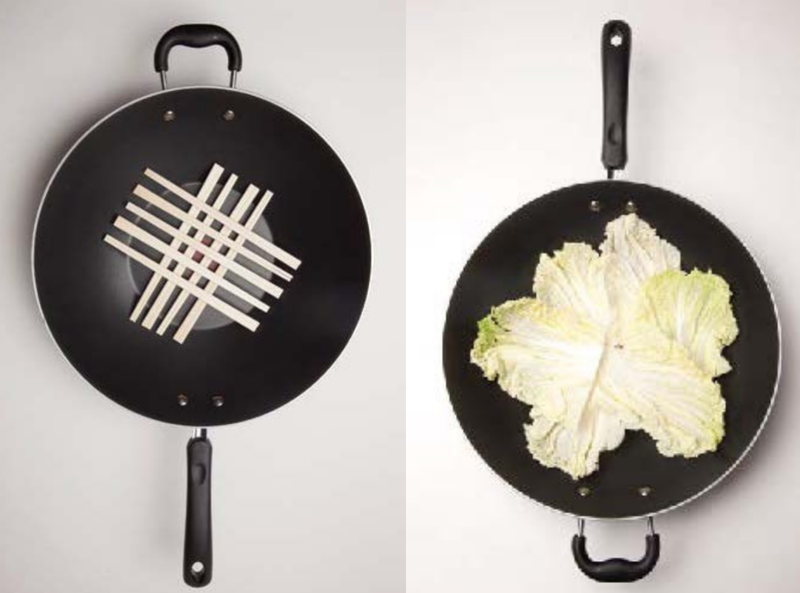 Or, place chopsticks in a crisscross pattern into the wok with water underneath. Place cabbage leaves over the chopsticks and cover the whole set-up. This works really well!